Independent Cuban journalists are calling for support from international governments and organizations as they report a rise in detentions and attacks. “The silence of the institutions and organizations that defend the freedom of expression and press in the world, together with the impunity with which the Cuban Political Police acts, makes the communicators on the island more vulnerable and the representatives of the Cuban regime more aggressive," Normando Hernández, director general of ICLEP, told the Knight Center. Combined forces of the National Revolutionary Police (PNR) and State Security took journalist and director Martha Liset Sánchez from community media outlet Cocodrillo Callejero in the early morning of June 25, according to ICLEP. Alberto Corzo, executive director of ICLEP and husband of Sánchez, said the officer who arrived at the offices said “tell me where the things are that you use to make the bulletins or she goes to prison with me,” ICLEP reported. When he went to the State Department of Security Operations, he was only told that his wife was under investigation, the organization added. This is one of a series of actions Cuban Political Police allegedly have carried out against ICLEP media outlets and journalists in the last six days, according to the organization. Four houses have been raided, journalistic equipment has been confiscated, and ten journalists have suffered aggressions including interrogations, arbitrary detentions and physical and psychological aggression, ICLEP reported. According to the organization, Alberto Castaño, administrative director of ICLEP, was released on June 22, 96 hours after the PNR, Special Brigades and Political Police raided the headquarters of El Majadero de Artemisa, an ICLEP community media outlet. He reported that the political police are interested in knowing where the means of production for the ICLEP media outlets are located. Another independent journalist, Osmel Ramírez, who writes for Havana Times and Diario de Cuba, which are not associated with ICLEP, was recently released after three days in detention, according to the Havana Times. He reported in the publication that the cell he was in, made to hold four people, “was an oven.” He also was previously detained for three days in November 2017. “According to what they told me in front of my family and then alone, I would have no more peace. I will be detained every time I write an article,” the journalist said. 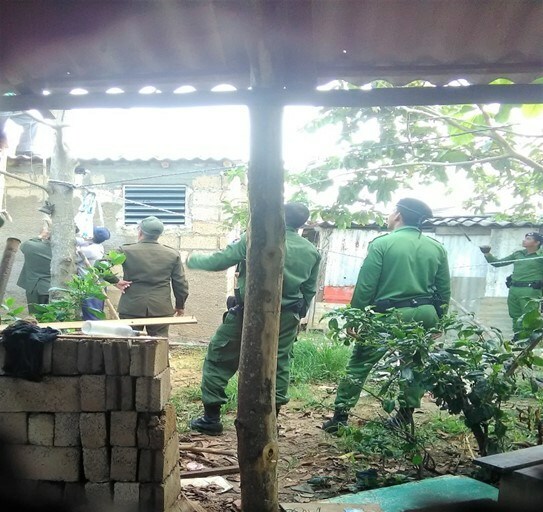 State Security in Camagüey summoned Inalkis Rodríguez, who collaborates with La Hora de Cuba, on June 21, and told her she was accused of painting posters on a co-worker’s house, reported news site 14ymedio. The site added authorities prohibited her from leaving the province and country without getting authorization. As noted by 14ymedio, journalists from La Hora de Cuba are frequent targets of the police.